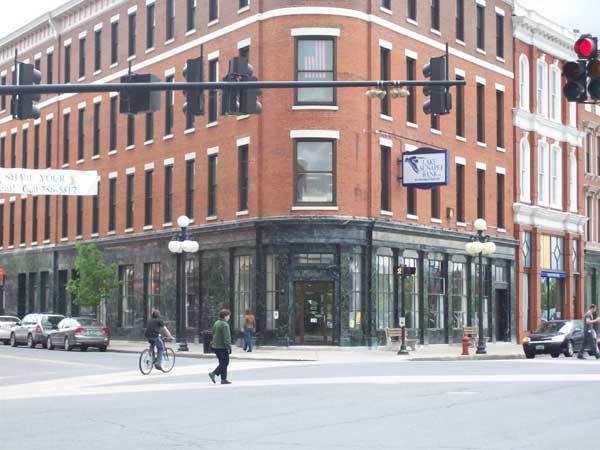 Earlier this spring, Phoenix Books announced that they would open a third branch in Rutland: today, the Rutland Herald has announced that the store would be located at the Lake Sunapee Bank Building at the corner of Center Street and Merchants Row. The store will cover 2,400 square feet, filling roughly half the first floor of the building. Design and renovations are set to begin soon, according to DeSanto, and the company is looking for a local person to hire as the manager. Phoenix has stores in Burlington and Essex Junction and decided to open a third outlet in Rutland after lobbying by Green Mountain Power. It will be the first store dedicated to new books in the city since Book King closed in July after 43 years. The Bookmobile continues to sell used books a block up on Merchants Row.